My "S" word for today is "Space". 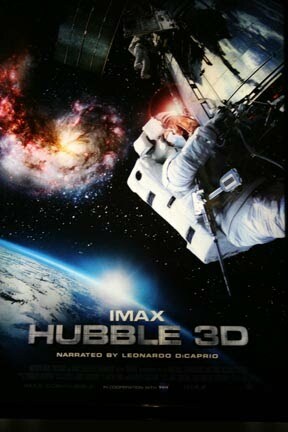 Yesterday I took myself off to the IMAX Theatre - Melbourne to see "Hubble 3D". This documentary was made in 2009 and it chronicles the effort of seven astronauts aboard the Space Shuttle Atlantis to make one last repair on the Hubble Space Telescope. This was an amazing film bringing the most spectacular scenes of earth, the birth and death of stars to three dimensional life. The focus on the astronauts made me feel like they were just ordinary men and women doing extraordinary things. The only downside was that it only went for 45 minutes, I could have watched it for hours.